Whether you’re traveling solo, with friends or carrying luggage, booking the right car size will minimise the chances of overloading vehicles. Catching a flight with a lot luggage and/or 2 or more friends? 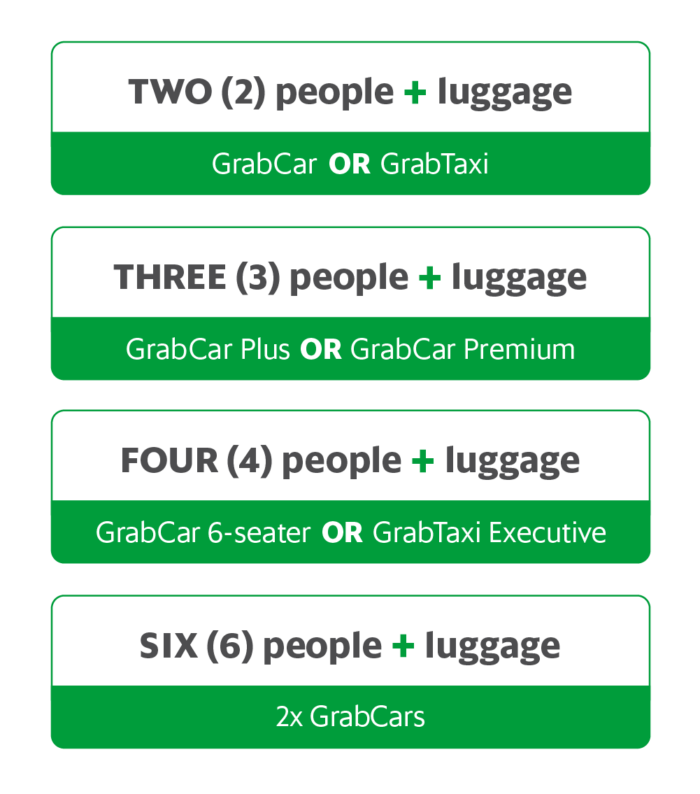 Use this guide to gauge which ride will be best for you when traveling to/from any airport in Malaysia. Booking a ride for the first time? Click here for some things you should know before booking.